Boston Dynamic’s RHex robot has always seemed amazing to me. The six legs and robust design allow it to move quickly over almost any terrain. 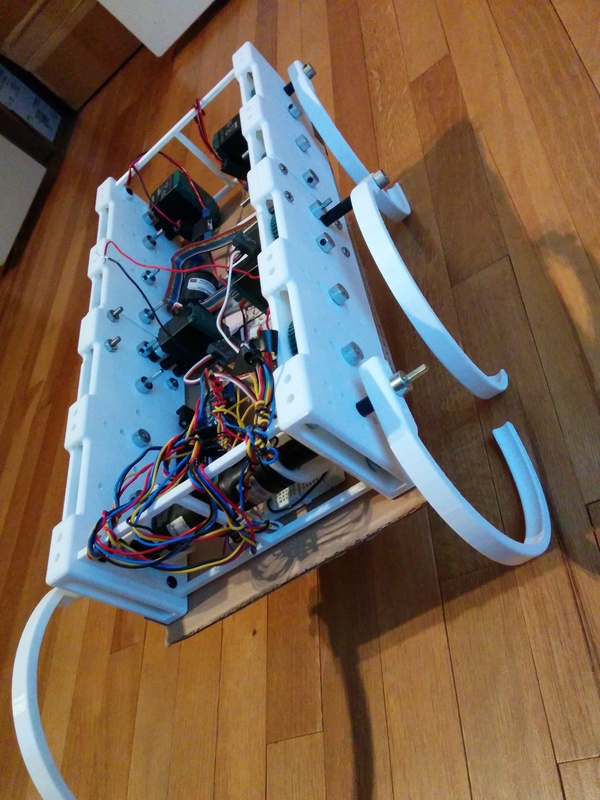 I built my own version to experiment with legged robotics. My design utilized geared DC motors with optical encoders, 3D printed housings, 9 DOF IMU, motor controllers, and an arduino microcontroller. 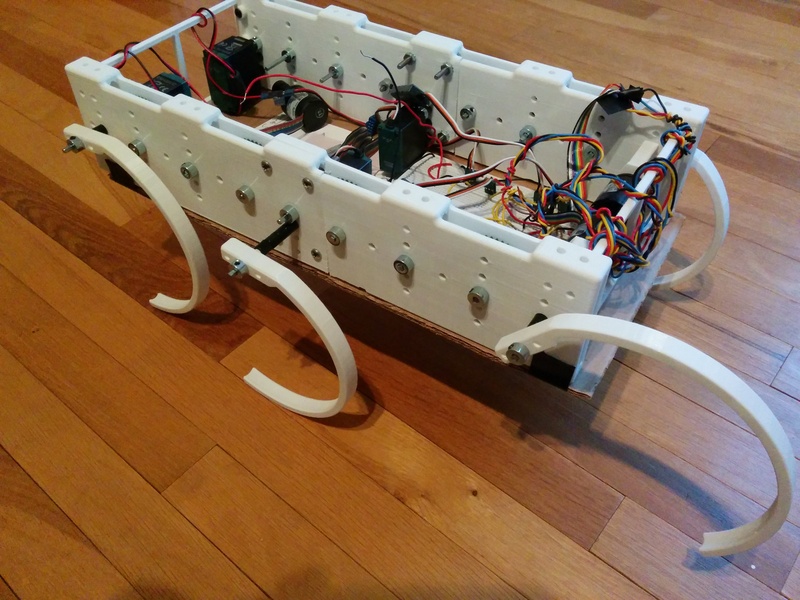 This project used some basic CAD design, circuit design for motors and sensors, programming in the arduino IDE, motor control code, and analysis of IMU data to determine walking patterns. I was able to get successful controlled movement which can be best described as “flopping and crawling”. Currently the project is limited by weak DC motors and too high of backlash in the gearing. 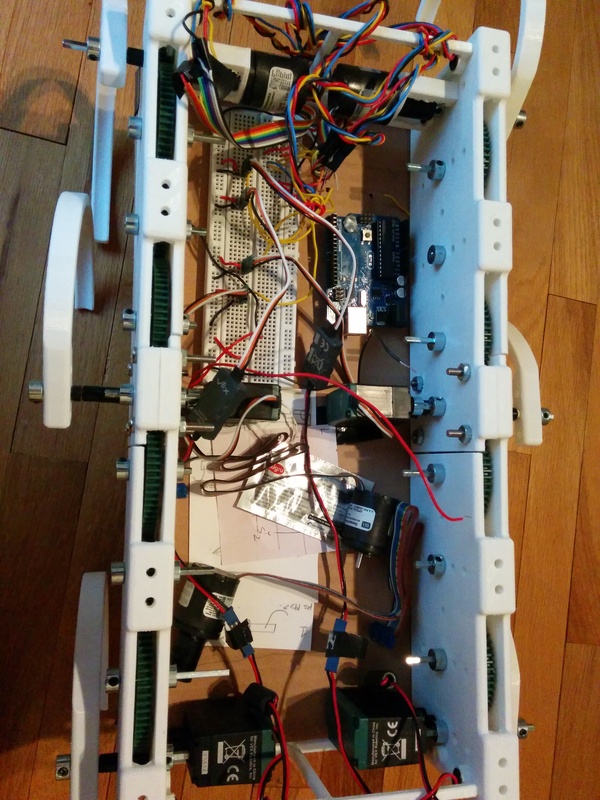 I plan to rectify this with stronger DC motors and encoders for each individual leg. All made on a college project budget of $60.